In a move that underlines how many Chinese citizens now work in Africa, China’s quarantine officials recently urged greater efforts to make sure that a yellow fever epidemic now raging in Sudan does not come back to China. Local health authorities were asked to scan all travelers arriving from Sudan for fevers. 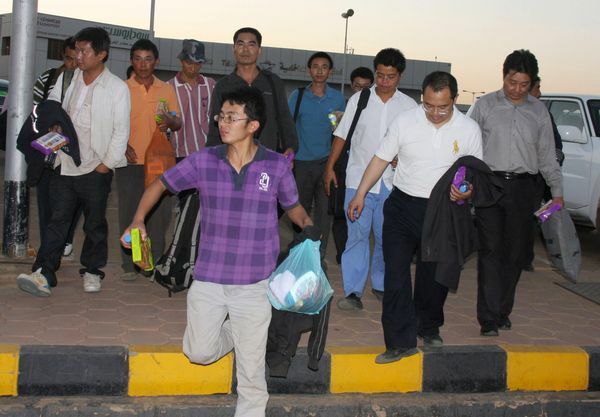 Chinese citizens planning travel to Sudan were advised to get yellow fever shots. Customs officers were told that containers arriving from Sudan might have stray infected mosquitoes inside. Sudan’s epidemic is considered the world’s worst in 20 years. Sweden, Britain and other donors have paid for vaccinations. The United States Navy’s laboratory in Egypt has helped with diagnoses. Estimates of the number of Chinese working in Africa, many in the oil and mining industries or on major construction projects, range from 500,000 to 1 million. Experts on AIDS have previously warned that the workers could become a new means of bringing that disease to China, which has a low H.I.V.-infection rate. ProMED-mail, a Web site that follows emerging diseases, has tracked reports about the Sudan outbreak, with its moderators adding valuable context. China’s mosquito-killing winters make a large yellow fever outbreak there unlikely, moderators said. But Sudan’s containment efforts are troubled. For example, vaccinated people cannot get cards proving they have had shots, but the cards are reported to be for sale at police checkpoints. Can China master the guideline challenge?